Welcome to Integrated Fire Protection Private Limited, Manufacturer and Exporter of Fire Extinguishing Foam Powder Cylinders and Equipments. We are an ISO 9001:2008 and 14001:2004 certified company, incepted in 1984 at Kolkata. Our products are applicable in Fertilizer, Chemical, Power and other sectors. International quality standards, industry leading prices and immense industry expertise make us the preferred supplier in the industry. Fire Fighting Foams, Concrete Concentrate and Command Control Systems are some of our products and services. Our Fire Fighting Foams are best in the industry amongst others. 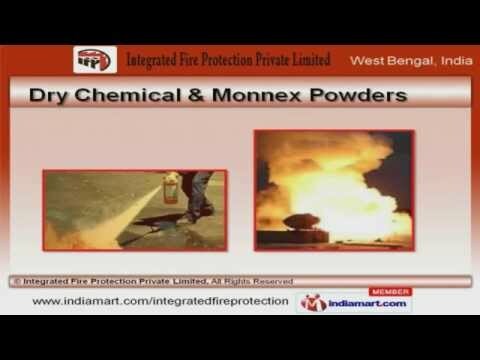 Dry Chemical and Monnex Powders are widely appreciated in the market. We also provide Fire Fighting Equipment and Trucks that are setting a performance standard in the market. Our Fire Extinguisher and NABL Accredited Laboratory are a class apart. We are highly instrumental in presenting a wide spectrum of Concrete Concentrate and Command Control Systems that are cost effective.